I've been working on a cross-platform game using MonoGame. What I can't figure out is the iOS version does not use the iPhone 6 native resolution. The screen size logged in game was 1136x640, and the Info.plist does not provide a slot for iPhone 6 and 6+ screen sizes. Does anyone know how to fix this issue so that the game will use native resolution instead of scaling up? I just ran into this (using MonoGame for the first time), but found a fix. Apparently this happens when iOS doesn't think your app can support the larger, "newer" device resolutions. This can be fixed by making sure your launch screen configuration supports larger resolutions. Next time I ran, (I had to do a Clean project first for some reason,) it displayed fullscreen finally. I created an issue for it: https://github.com/MonoGame/MonoGame/issues/5640 -- seems like something MonoGame should include in the template. When I do this "Add > New Item > Apple > iOS", there is no Launch Screen element. 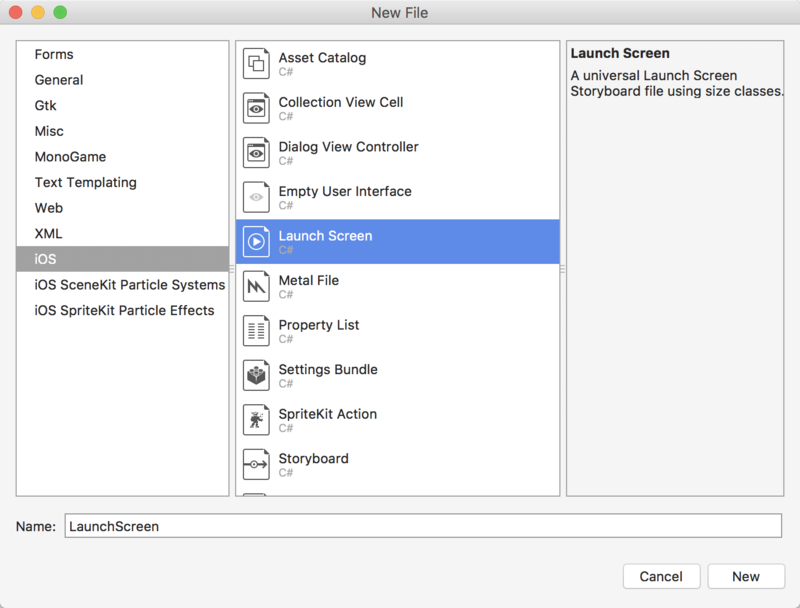 Do you mean Empty Storyboard?